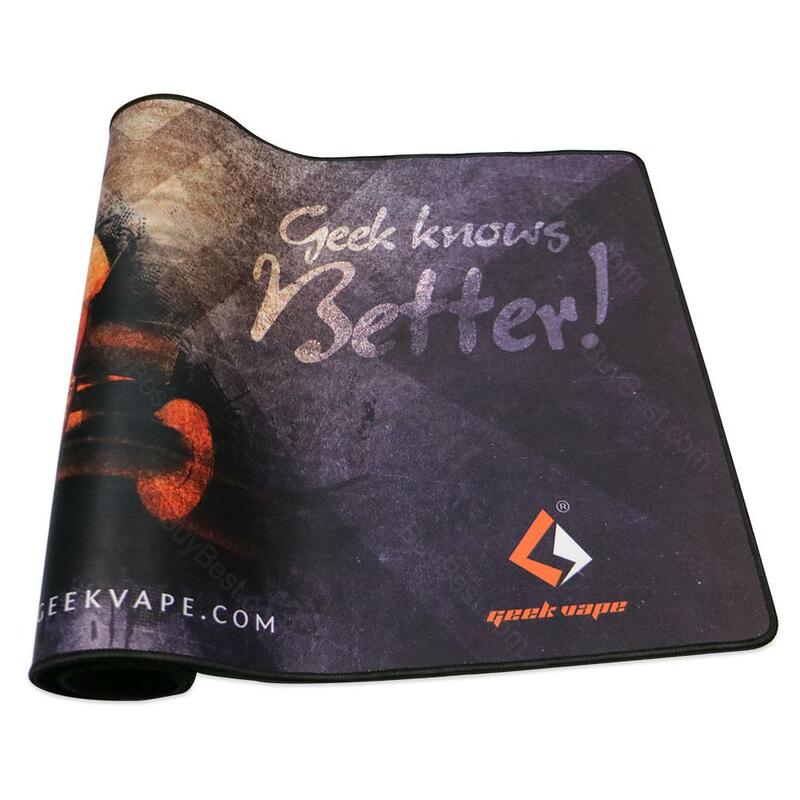 GeekVape Building Mat comes with high quality waterproof material and 80 x 40CM portable size. It will help you to keep the desk steay and clean while DIY. GeekVape Building Mat is made of high quality waterproof material and non-slip rubber base, which is perfect for DIY builders. It is soft and easy-to-clean, making it an ideal assistant for building and wicking. Best accessory for DIY lovers. • You may buy another DIY accessory 521 Master Kit from us too. Use it to build coils for my RDAs and RTAs. The glossy face is a major fingerprint magnet, but not a big deal. I compared a couple of coils, measuring the ohms on this Mini 521 Tab, an 18650 Coolfire and an IPC and the ohms were consistent. GeekVape Building Mat for DIY Builders Made of high quality waterproof material and non-slip rubber base, GeekVape Building Mat is designed for DIY builders. It is soft and easy-to-clean, making it an ideal assistant for building and wicking.